This relay should be a good battle between two (and maybe three) Class winners. Top seed is Glastonbury off of its 1:45.43 in a Class L win, and next is Windsor after taking the LL title in 1:45.54. 9th seed Bloomfield had a leisurely win in Class S and actually has the best time of 1:45.17 from the Hillhouse Invite back in December, but it appears that Terry Miller and Jillian Mars will be going in the 4x400m instead. RHAM was 2nd in Class L at 1:47.50 and could also be in the hunt along with Class M champ Weston at 1:47.84. This race should be a classic if the top three load up the lineups here. Bloomfield is seeded 3rd off of its Class S winning time, but it has a CT #1 ranked time of 4:01.18 from the CCC championships. Top seed Glastonbury likewise has a better time than its Class L winning mark with a 4:01.58 at Yale. Class M winner Hillhouse also has better time than its seed mark with a 4:02.82 at the Hillhouse Invite. Weston, Plainfield, and Greenwich could also pick up places. Tired legs at the end of the day may not be able to push through to the best times, but the competition should be fabulous. The big question for the 4x800m is which teams will have enough legs to go strongly in the longest of the relays, an issue that favors the bigger teams. LL winner Ridgefield is peaking at the right time here and has a best of 9:35.52, but Class S winner Immaculate is stacking its resources here and has a 9:37.28 best. 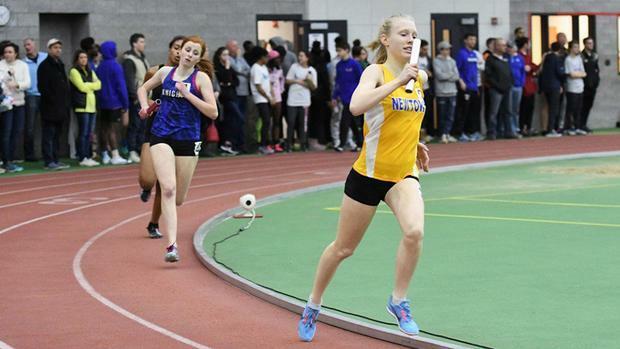 Trumbull and Glastonbury were 2nd and 3rd in LL with 9:41.10 and 9:41.27 times, and L winner East Lyme and runner-up Darien also figure to be in the battle for places with times of 9:52.77 and 9:53.65. Last year's winner Greenwich has a CT best of 4:12.19 this season but appears to be concentrating on the 4x400m, so a group of teams will vie for the title that have all done sub 4:20 times from non-seeded meets but were holding back in the Class meets. Class M winner Hillhouse may be the favorite after a 4:19.11 time while being pushed there by 2nd seed Ellington. Also in the running will be LL winner Ridgefield, S winner Cromwell, and M's 3rd place team Weston.